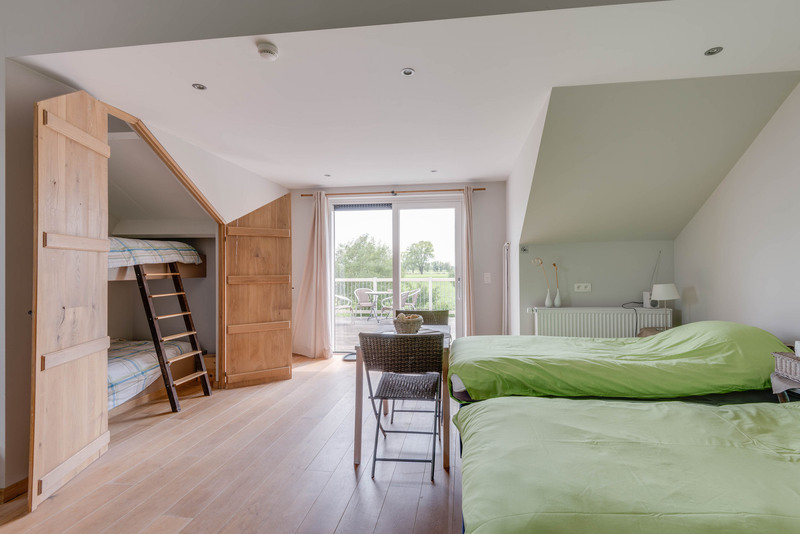 In the shadow of Poekekcastle, a stone’s throw away from Aalter, Deinze, Ruiselede and the historical and cultural metropoles Ghent and Bruges, you can unwind in this cozy renovated granary. 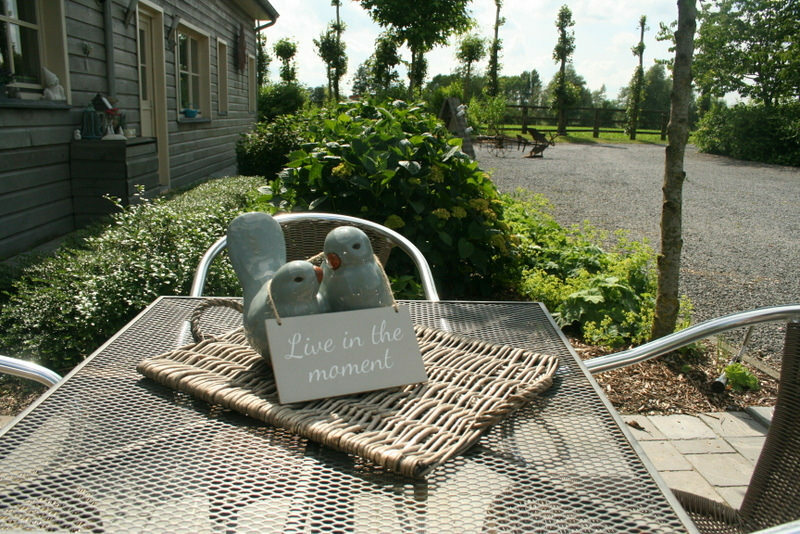 Environ by grandiose sceneries, a charming garden accompanied by the burbling sounds of the Poekebeek, this bed and breakfast offers a wide array of ways to relax. An ideal location for young and old to repose, specially designed for ‘three generation tourism’. As such there is a snug bar, a breakfast room and many terraces where you can have a beverage or a bite to eat. The presence of farmyard animals and an abundance of other ways to relax (trampoline, footballgoals, volleybalnet, tabletennis, bikeriding, gocarts, pétanque pistes and boardgames) add do the enjoyabilty for both young and old. 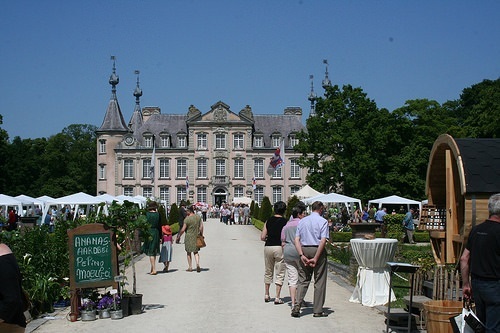 An ideal location for young and old to relax, specially designed for ‘three generation tourism’. 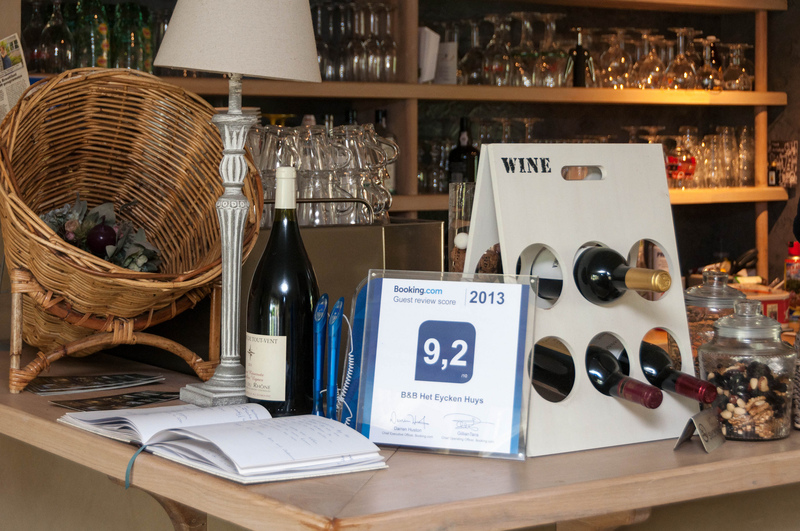 As such there is a snug bar, a breakfast room and many terraces where you can have a beverage or a bite to eat. The presence of farmyard animals and many other possible ways to relax (trampoline, footballgoals, volleybalnet, tabletennis, bikeriding, gocarts, pétanque pistes and boardgames) add do the enjoyabilty for both young and old. Because of the many rooms both inside and outside & the presence of 4 double rooms and 4 familyrooms, this bed and breakfast is a perfect location suited for larger groups of families, bicyclists, hikers and other visitors who want to enjoy the environment and eachothers company in a comfortable and discrete location. En bekijk onze B&B vanuit de lucht met deze dronebeelden. Proberen wij duurzaam te ondernemen met een hart voor ons klimaat. mijden we kleine verpakkingen zoveel als mogelijk (douchegel, zeep). En draait u dan a.u.b. de verwarming lager en doet u de lichten uit bij vertrek? 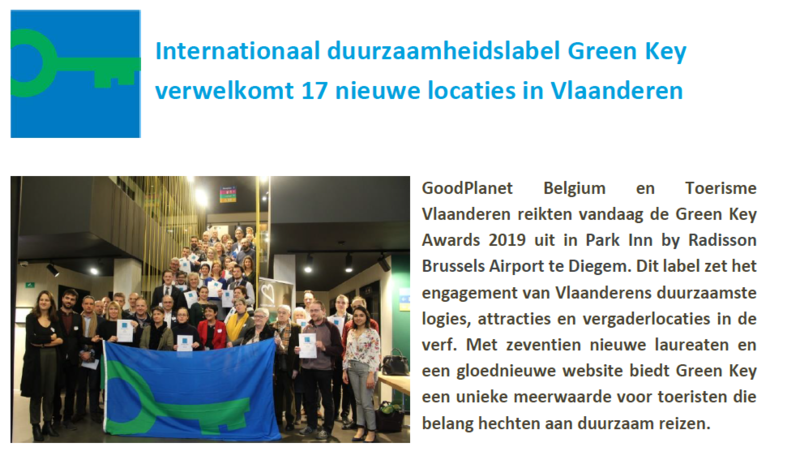 Lees meer over het internationaal duurzaamheidslabel Green Key die we ontvangen hebben, door hier te klikken!